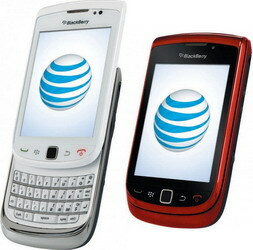 AT&T has announced the exclusive availability of new red and white versions of the BlackBerry Torch 9800 smartphone – just in time for the holiday shopping season. For those of you who are new to the BlackBerry Torch 9800, it’s a smartphone that comes with BlackBerry OS 6, a 3.2-inch HVGA capacitive touchscreen, 5MP camera with autofocus and flash, Wi-Fi b/g/n, HSPA 3G, GPS, 624 MHz processor, and 512 MB RAM. AT&T will offer two new red and white color variants for the BlackBerry Torch 9800, both exclusive to AT&T customers and in stores beginning November 7. 0 comments on "AT&T BlackBerry Torch 9800 in White and Red in time for the holiday season"